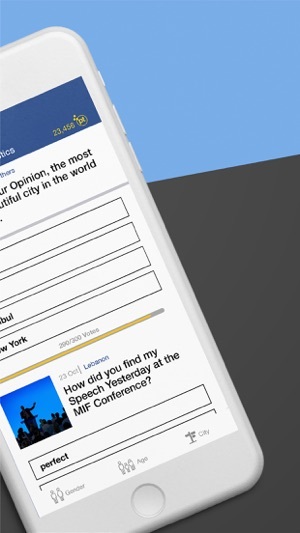 mysay rewards you for expressing your opinion on all sorts of matters, and allows you to read the world and understand the way people think about any subject. 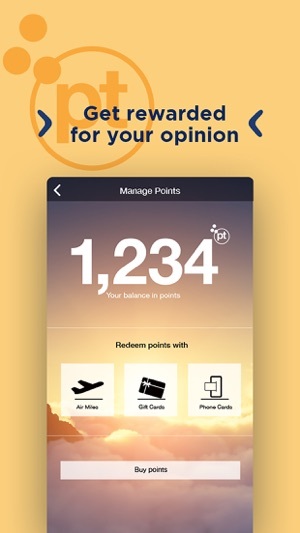 Answering is fun and rewarding, mysay also rewards you for every answer you provide, the more you answer the more you collect points. Points can be redeemed against travel, and other goods. 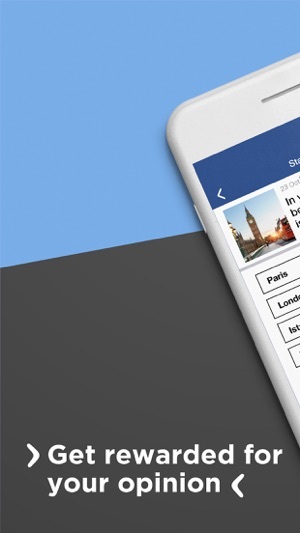 Read the news on mysay like you've never read them before. 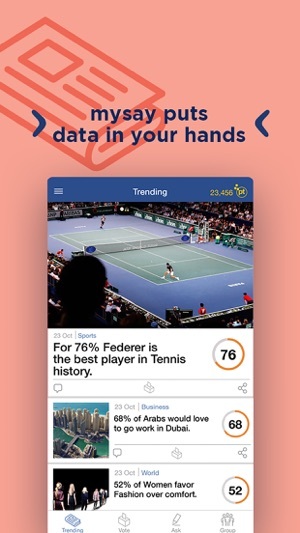 With statistics, chart and numbers, mysay gives you a totally different angle on how people around you view, and react to events. 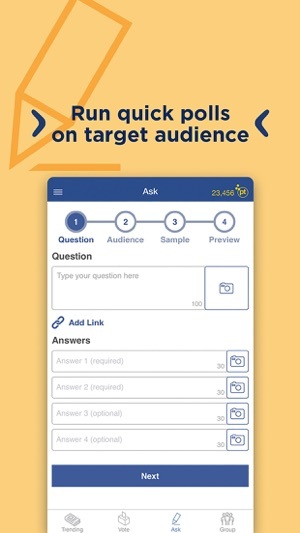 View polls by topic. Topics can be recurrent, or spontaneous and about a specific event. Ask anything to anyone, if you need a quick answer with accurate statistics. mysay gives you accurate statistics with detailed answers. 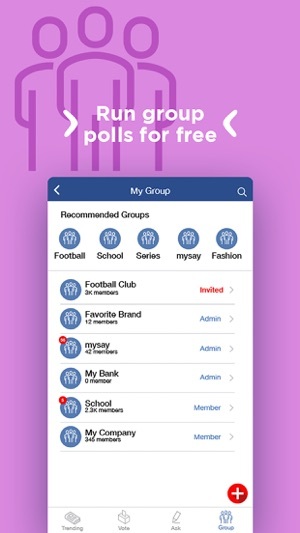 mysay allows you to create groups by inviting friends or coworkers with the same interests, be it professional, friends, family or people sharing the same passion, political believes or sports "fanhood". It is by far the most fun and efficient tool to see what people around you think. Moving my review to a 1 star review, from my 2 star, since we’ve been waiting for so long for the gift card section, plus they even removed the recharge card options, and no clear way to get support and response from the developers, so you’re literally getting nothing in return of your opinions. I love the app, and i insist on using it daily, but it certainly feels now like I’m making the developer company earn money, lots, and all I am getting is nothing. Hope at least the gift cards section to be available soon. 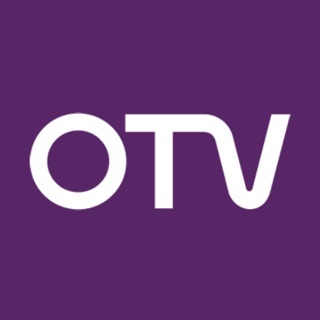 Great app, full of information in a friendly and accurate way. You can let your voice be part of the topics. Its a new way to read information based on real statistics. 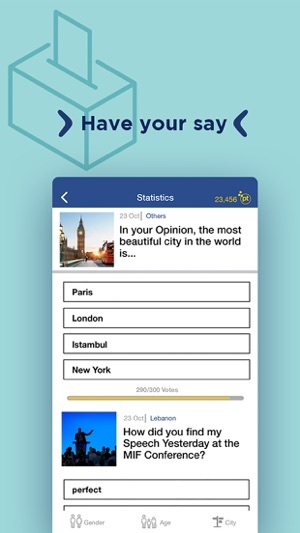 This app is very entertaining in the sense you can answer questions on some of the fun topics out there and choose your subjects of choice. At the same time you get rewarded for answering questions!